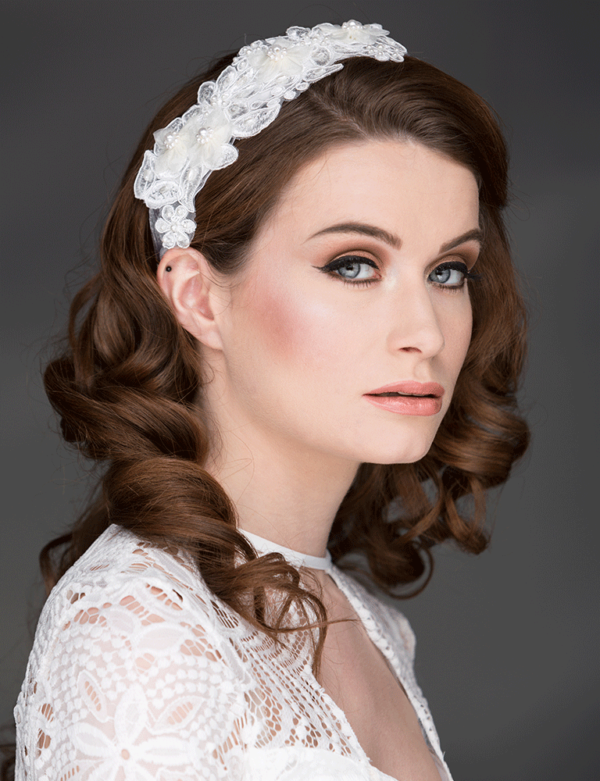 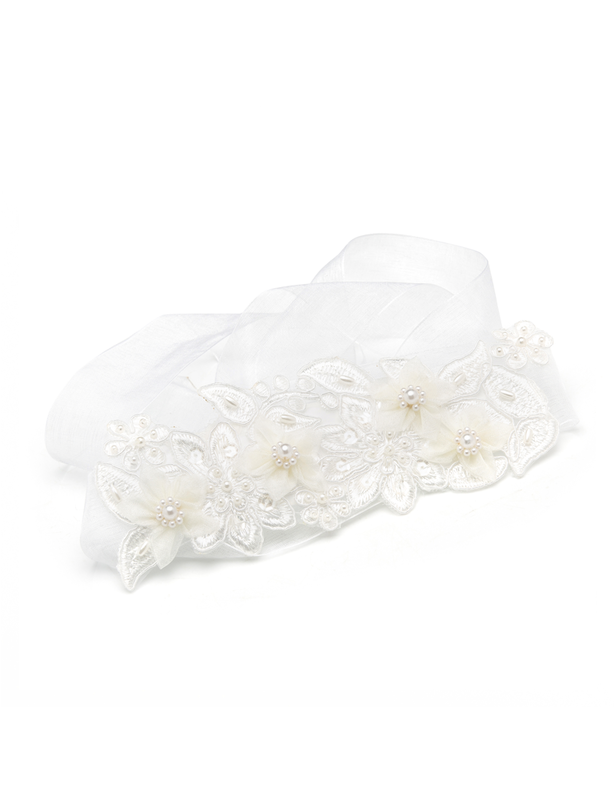 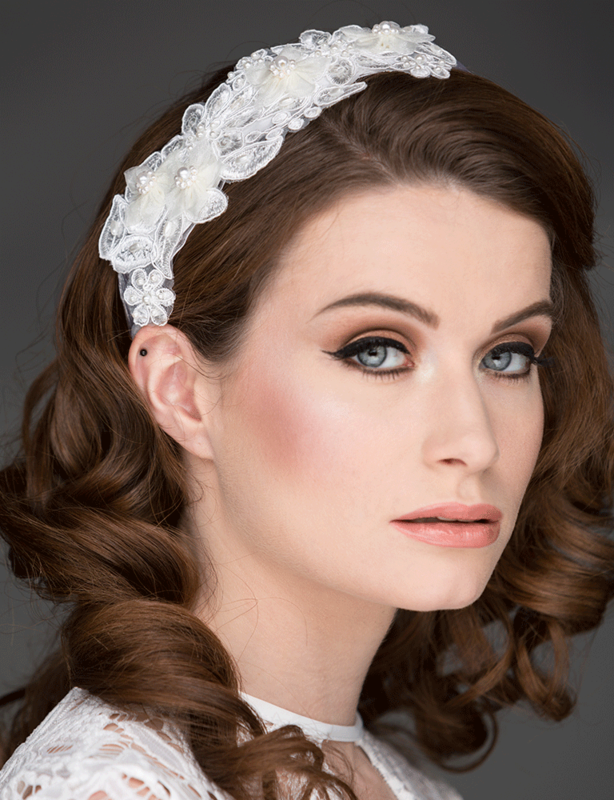 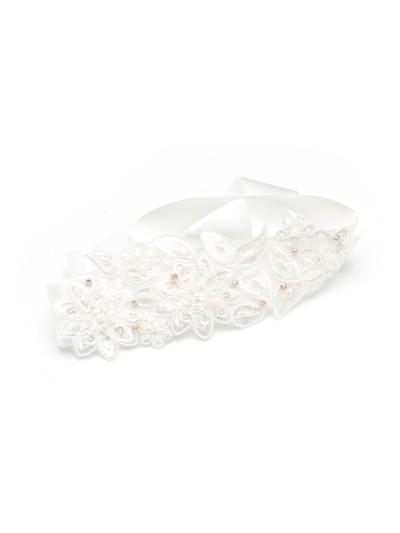 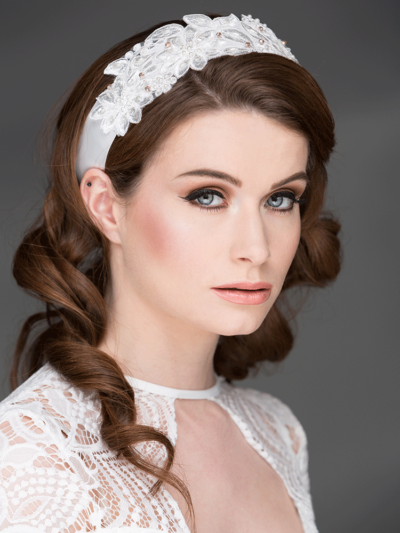 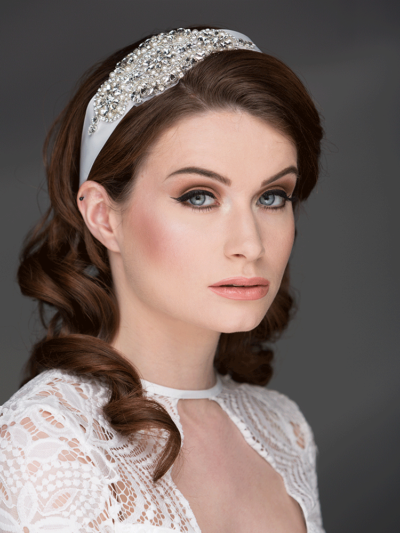 Romantic ivory lace bridal hairwrap with organza flower and pearl detail. 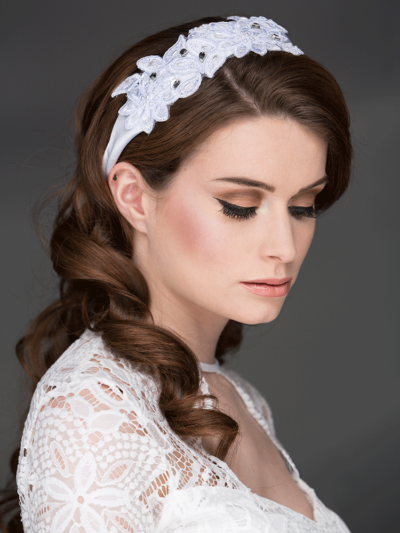 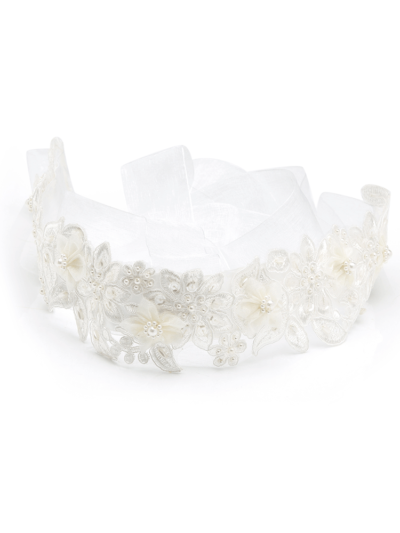 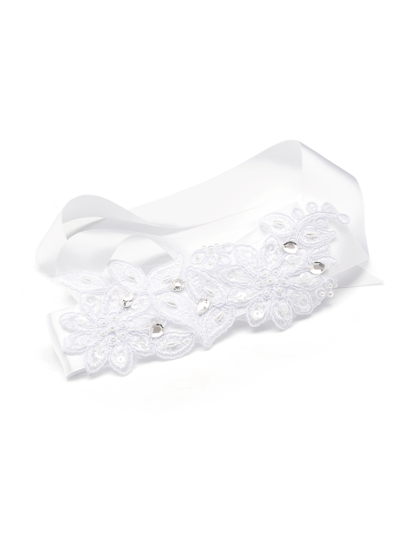 This hairwrap can be designed with white lace and organza,contact for details. 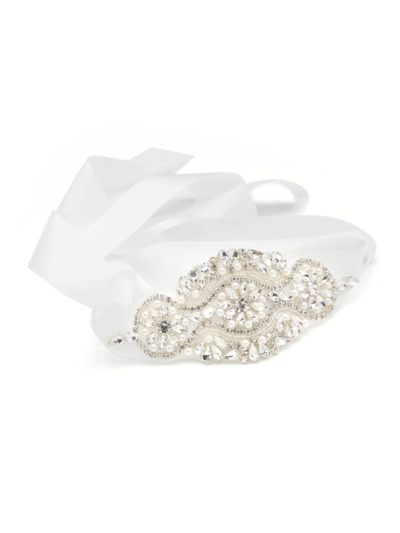 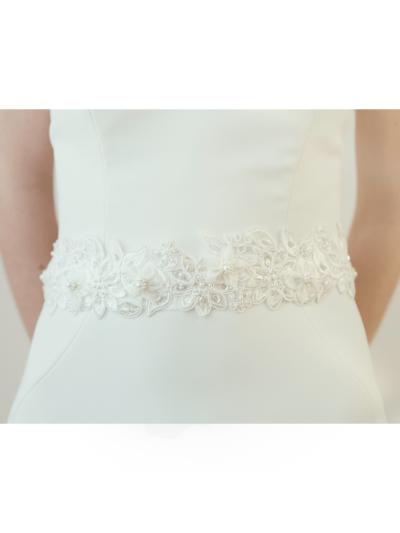 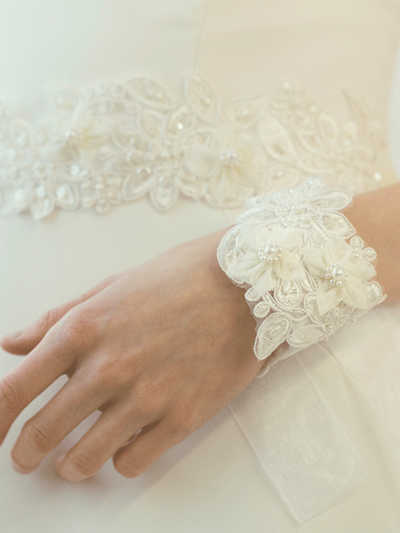 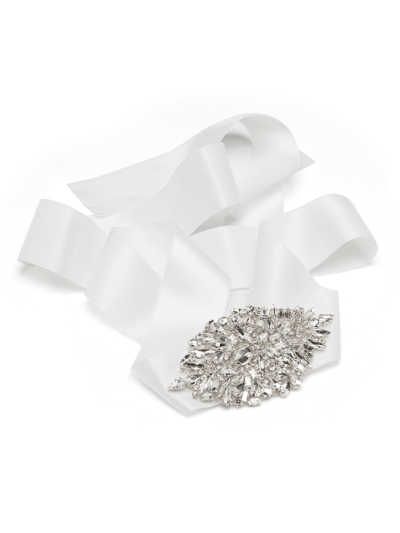 We have a matching wedding belt and bridal cuff to complement this design.